“Mayhem awaits. Bring friends,” is plastered on the ads for the latest “Borderlands” title, and it’s the truth. 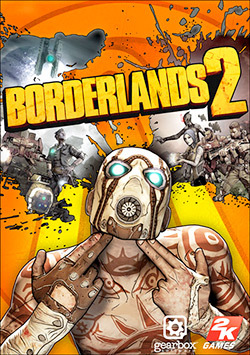 I recently picked up “Borderlands 2” and have become a terrible boyfriend because of it. If I’m not at work, school or asleep, I’ve been playing the game with my friend. The game starts out with a cinematic of an ill-fated ride through the tundras of Pandora. The four current characters are showcased in an action-packed short movie where they face down a small squad of robots. Salvador is the replacement for Brick but instead of running in like a fool and swinging his fists, he instead runs in like a fool using a gun in each hand during his action skill. Maya is the replacement for Lilith, and instead of disappearing and reappearing for her action skill, she lifts enemies into the air so she can shoot them at her leisure. This seems a lot like the force if you ask me. Zer0 is the replacement for Mordecai. His action skill summons a decoy and he turns invisible. During this he is able to attack with his sword, aiming at enemies’ weak points. Axton, Roland’s replacement, comes equipped with another turret. It’s larger and more intimidating than the Scorpio turret from the first game but looks to do much of the same things. One of the fun things about “Borderlands” is the rampant use of spoofs and parody of popular stuff. I’ve not been able to get too far into the game yet but my childhood has already been stomped a few times — in such a way that it merely amuses though. Overall, the game has the same flair for destruction as the first. I only have one real complaint other than the difficulty. The enemies don’t pop or get dismembered anymore. That’s the one thing that bugs me about the new game. Everything else is fabulous, but seeing a bandit’s head disappear was like a reward for being able to properly aim with a sniper rifle.